If you've ever played Roulette online, you know there's one sticking point that frustrates Australian casino players. No matter how hard the online casino tries to make their experience realistic, it still feels like you're playing a video game. And we totally agreed - until we tried live dealer Roulette. Live Roulette online puts a dealer directly into your home. We're not talking about a simulated actor that some graphic designer in Melbourne came up with. We're talking about a real dealer, beamed directly into your home through a real-time video feed. The best live dealer casinos aren't gimmicky. They're as close to the real thing as you can get. They feel true-to-life because the dealers and croupiers are actually dealing and spinning out of a real casino. You just happen to be located somewhere else (possibly on the other side of the planet). 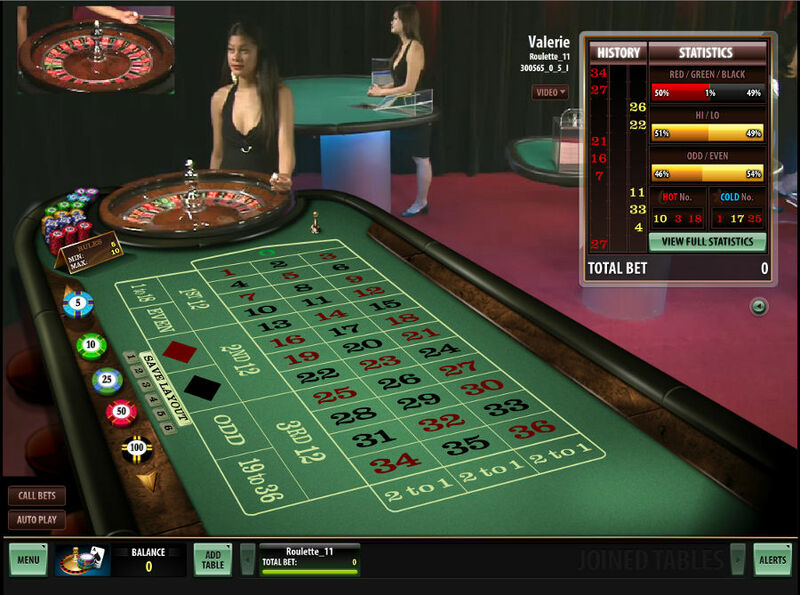 See Live Dealer Roulette in Action! Here's how it works. 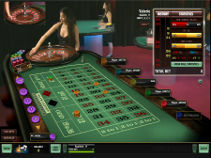 You've got a traditional simulated Roulette betting board, just like you would in ordinary Roulette. But instead of pressing the Spin button whenever you're ready, live dealer Roulette features a live dealer who you can actually chat with. And because the dealer is very real, she actually calls "no more bets" and spins the wheel when she's ready. And we said "she" for a reason. Most live dealer casinos for Australian players feature female croupiers, but we've seen a few men spin the wheel, too. The best live dealer Roulette in Australia doesn't just feature a real dealer. It features a real roulette wheel, too. That takes the whole "is this casino rigged" question out of the equation. You know that a top live roulette online site isn't rigged because you can physically see the wheel spinning - just as you would at live dealer casinos for Australian players of the bricks and mortar variety. If you're reading this article from your old Intel Pentium machine that's hooked up to a 56k modem, you might want to hit your local Harvey Norman store for a new system. If you want to play live Roulette, you'll need a modern Mac or PC with a fast Internet connection. While you technically don't need a webcam to play since the video feed is usually one-directional, we recommend looking for a computer that has a camera. 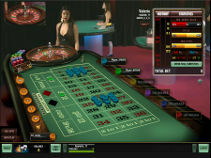 That way you'll know that your machine can effortlessly handle video conferencing, which the best live dealer Roulette sites offer. A fast Internet connection is also needed if you want to play at a live dealer casino. Australia casino players are advised by the big live dealer Roulette sites to have a connection around the 12mbps mark, but we've seen live online Roulette Australia sites work well with connections as slow as 4mbps. 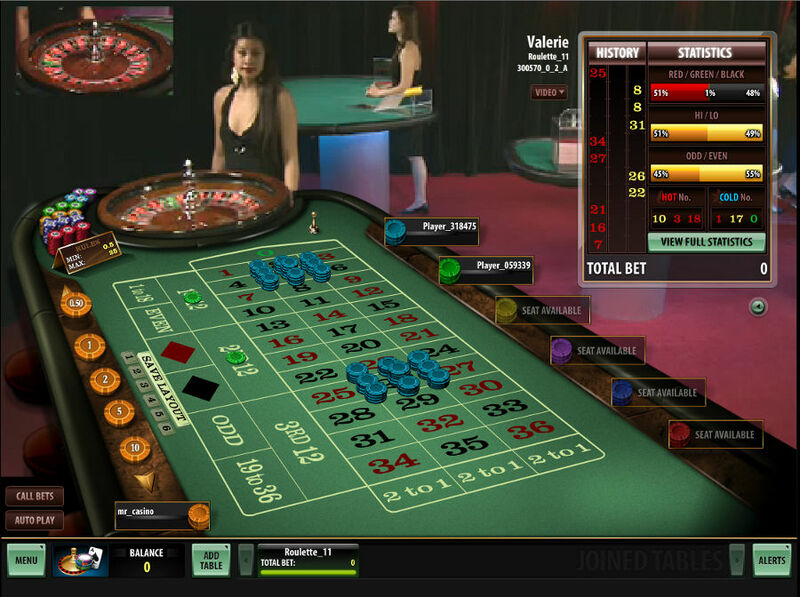 The beauty of online Roulette is that you can hop up to a table and bet just a few bucks. At many Australia online casinos, you can bet as little as $1 on a spin. That's a lot different than the big casinos in Melbourne and Sydney that force you to shell out $10 or $25 per spin. Live dealer casinos in Australia don't deviate much from smaller limits. However, because live dealer casinos tend to attract more high rollers, you'll often find higher maximums. We've seen many casinos with $500 maximum bets, and some as high as $1,000. Blending a virtual Roulette experience with live dealer casinos isn't easy. We've come across a lot of live Roulette Australia casinos that claim to offer a great experience. And then when we tested them, we discovered that the live dealer is really just a pre-recorded video feed. The spinning wheel was also prerecorded. And the whole thing, while it seemed real at first glance, was just too fake for our liking. The best live dealer casinos for Australian players blend cutting edge software and video feeds of real dealers to create the most authentic Roulette experience available. We've reviewed loads of live online Roulette Australia sites and narrowed down our picks to a select few. Use our download links to test them out. And don't forget to thank the dealer when you hit a big score. Remember, they're real, so they'll appreciate what you have to say. Live dealer roulette is a cross between playing roulette at a brick-and-mortar casino and playing online from the comfort of your own home. 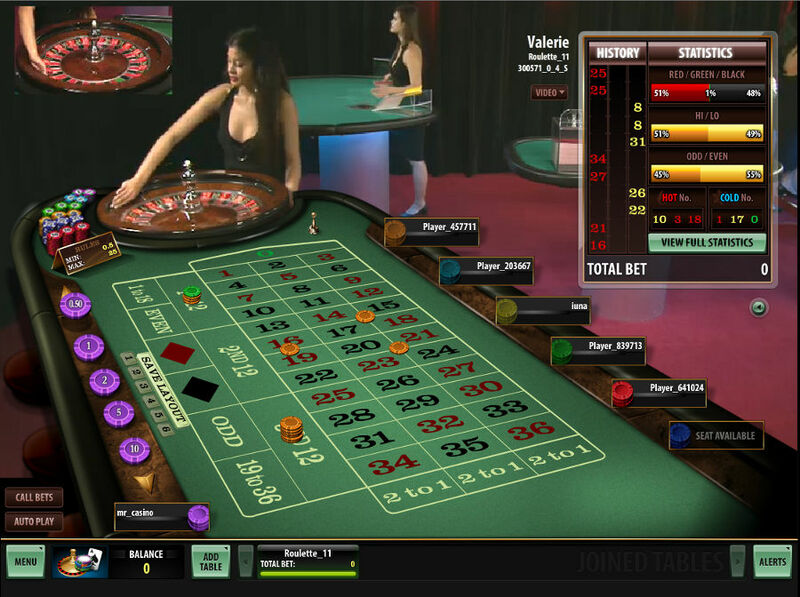 On screen you will see both the standard roulette table you are used to from online play, but also a live video stream of a real croupier spinning an actual wheel. This adds an unparalleled element of realism to the game, which otherwise remains unchanged. Is it available for the different roulette variations? Yes! While the European game is much more popular than the others, it's possible to find American and French live roulette tables if you look hard enough. On this page we have listed many of the top online live roulette sites which are a great starting point for finding live roulette games in your favourite style. Most online casinos will tell you well before the sign up page which varieties of the game they offer. Absolutely. Live dealer roulette is the same game you know and love, just with added realism. You'll still place your bets, the dealer or croupier will call no more bets with a wave of their hand, and then the chips will fall where they may depending upon where the ball stops on the wheel. Perhaps the only big difference is that online wheels will have smaller betting minimums. Contrast this to playing roulette in a land casino where it's not uncommon for the minimums to start anywhere between $10 and $25 per spin. And because live dealer casinos attract more high rollers, the maximum bets are often higher, too. Yes! Again, just about everything with live dealer online roulette is going to be the same as if you were playing in a land casino. That big difference is just the added realism of a live dealer and live wheel. So, if your live dealer is spinning a European wheel you will still have 37 to 1 odds on hitting a single number straight up and 38 to 1 odds on the American version. Playing live dealer roulette adds a sense of realism and engagement that is hard to find in any other standard online casino or card game. It's literally the next best thing to going to an actual casino, without having to worry about transportation, expensive food, or annoying players at your table. Can I play on my mobile device or tablet? If the online casino you are playing live dealer roulette on has a mobile app or is otherwise mobile-optimised, then absolutely. Due to the increasing popularity of mobile play, most of the top online casinos we recommend have (or will soon be having) some option for mobile play. Is a fast internet connection required? You can definitely try and play on your dial-up internet, and you may have some luck, however a high-speed connection is recommended for the most reliable and realistic gameplay. Nothing is worse than not being able to place your bet in time due to a laggy internet connection, then seeing your slot hit!